Bio: Jonathan Freund is the Donald Biggar Willett Professor of Mechanical Science & Engineering and Aerospace at the University of Illinois at Urbana-Champaign. He is a Fellow of the American Physical Society, and a winner of the 2008 Frenkiel Prize from its Division of Fluid Dynamics where he currently serves as the division secretary/treasurer. 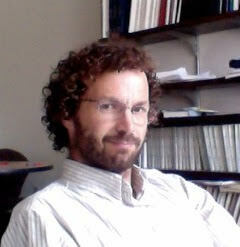 He is an associate editor of Physical Review Fluids and on the editorial board of Annual Review of Fluid Mechanics. Computational science has been central to his research, which has included simulations of turbulent jet noise and its control, the dynamics of molecularly thin liquid films, nanostructure formation by ion-bombardment of semiconductor materials, and most recently the dynamics of red blood cells flowing in the narrow confines of the microcirculation. He co-directs the DOE-funded Center for Exascale Simulation of Plasma-Coupled Combustion at the University of Illinois. Advanced simulation tools, particularly large-eddy simulation techniques, are becoming capable of making quality predictions of jet noise for realistic nozzle geometries and at engineering relevant flow conditions. Increasing computer resources will be a key factor in improving these predictions still further. Quality prediction, however, is only a necessary condition for the use of such simulations in design optimization. Predictions do not of themselves lead to quieter designs. They must be interpreted or harnessed in some way that leads to design improvements. As yet, such simulations have not yielded any simplifying principals that offer general design guidance. The turbulence mechanisms leading to jet noise remain poorly described in their complexity. In this light, we have implemented and demonstrated an aeroacoustic adjoint-based optimization technique that automatically calculates gradients that point the direction in which to adjust controls in order to improve designs. This is done with only a single flow solutions and a solution of an adjoint system, which is solved at computational cost comparable to that for the flow. Optimization requires iterations, but having the gradient information provided via the adjoint accelerates convergence in a manner that is insensitive to the number of parameters to be optimized. The talk will review the formulation of the adjoint of the compressible flow equations for optimizing noise-reducing controls and present examples of its use. We will particularly focus on some mechanisms of flow noise that have been revealed via this approach.